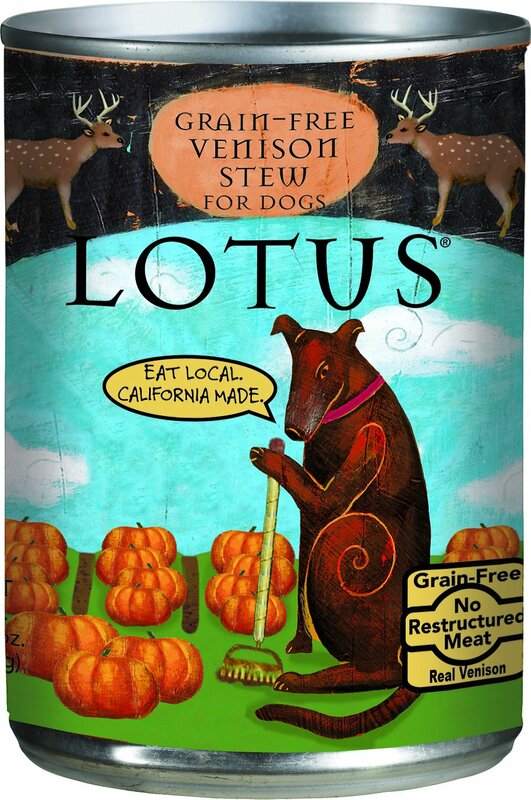 Lotus Venison Stew Grain-Free Canned Dog Food is a grain-free stew that’s made especially for your pup’s fine-tuned palate. Lotus creates their hearty stews in small batches using only the freshest, most natural ingredients and no processing aids like carrageenan, guar gum or xanthan gum. Lean venison meat, chopped asparagus, blueberries, sweet potatoes and whole cranberries are simmered together in a venison broth for a meal that’s packed with flavor and nutrients. The unique salmon and olive oil blend provides a full range of omegas to help maintain your dog’s healthy skin and coat. Venison, Venison Broth, Potato Starch, Calcium Lactate, Chopped Asparagus, Chicken Fat, Blueberries, Sweet Potatoes, Monosodium Phosphate, Agar-Agar, Salt, Salmon Oil, Olive Oil, Pumpkin Flakes, Ground Flaxseed, New Zealand Green Mussel, Dried Kelp, Whole Cranberries, Calcium Carbonate, Choline Chloride, Betaine, Zinc Proteinate, Potassium Chloride, Iron Proteinate, Niacin, Vitamin E Supplement, Thiamine Mononitrate, Copper Proteinate, Manganese Proteinate, Sodium Selenite, Calcium Pantothenate, Vitamin A Supplement, Riboflavin, Pyridoxine Hydrochloride, Biotin, Vitamin B12 Supplement, Calcium Iodate, Vitamin D3 Supplement, Folic Acid. Growth: Introduce wet food around the 5th week of age and provide as much food as puppies will consume from weaning till full grown. Always provide a source of clean fresh water. Why is baked dry pet food better than extruded dry pet food? Because we bake our dog and cat foods, we are able to use up to twice as much fresh meat as extruded pet foods. Then there’s better palatability - in 1 third - party study, Lotus Wholesome Duck Recipe fed 11/2 times better as a first choice against the leading specialty dry duck formulas for dogs. And we do it all without any added flavors or sprayed on fats (Feel the difference - Lotus is not greasy like most extruded foods).Baked foods are cooked at 1 atmospheric pressure slowly cooking and browning each piece of Lotus. Extruders cook food at 2 - 3 times atmospheric pressure using steam. Extruded kibble gets its puffy appearance from being cooked at such high pressure, then being released back into normal atmospheric pressure after cooking. This is cooking from the inside out (think microwave).Oven - baked Lotus retains 100% of its vitamins. Extruded dog and cat foods typically lose an average of 40% of their vitamins. This means that all of Lotus’ fresh fruits and vegetables still provide all of those wonderful antioxidants to keep your best friend’s cells healthy. Lotus even retained 100% of its proteins compared to extruded foods that typically lose 20% during drying the drying process.Feed less! A bag of Lotus lasts 20% longer. This is because a cup of Lotus weighs only 4 oz and many extruded foods weigh an average of 6 ozSlow oven - baking takes about 3 times as long, but we think all the benefits are worth it. Why do some of the lotus kibble pieces look like they have grill marks on them? Lotus dry foods are baked in real ovens, like the 1 you have at home. So, of course, there will be some browning from the oven. The Lotus kibbles come out shaped slightly different from each other—the same way homemade cookies are never perfectly round. Where does lotus source all of their ingredients? All ingredients are sourced in North America (USA and Canada). There are 3 exceptions on our ingredient lists: New Zealand Green Mussel, Deboned Lamb and Lamb Meal - all these great ingredients come from New Zealand. Our oven - baked foods are made in small batches in a family owned and operated Canadian bakery. all of our canned foods are made in small batches in our very own micro - cannery in California. Why are whole grains beneficial? We use whole grains because of the many nutritional benefits they provide. For example, brown rice provides vitamin E to help maintain healthy cells. Brown rice also supplies insoluble fiber which becomes food for the good bacteria in your pet’s large intestine.In fact, our brown rice is actually more expensive than chicken meal because it’s the same brown rice you’d cook at home. Although chicken meal is a nutritious ingredient, it’s not used in the household kitchen.Rye is another whole grain, but this 1 has the highest concentration of lignans, antioxidant like compounds that help keep cells healthy.Barley and oatmeal are a great source of B vitamins, as well as insoluble fiber, which can help feed good bacteria in the large intestine. What makes the oil blend in lotus so good for my pet’s skin and coat? We selected 3 special oils for our dog food, each with their own amazing benefits. We chose soy oil because it is a good source of omega - 6 and omega - 3 fatty acids in the form of Alpha Linolenic Acid. We chose olive oil because it’s a rich source linoleic acid (omega - 6). And we added salmon oil because it’s rich in 2 omega - 3 fatty acids - DHA and EPA. DHA has been shown to improve learning in puppies whose mothers were fed a diet containing DHA. All Lotus cat recipes contain chicken fat as well because cats have an increased need for fat, as compared to dogs. How do I know that lotus is really ethoxyquin free? Lotus only purchases proteins that are specified by the manufacturer to be preserved with vitamin E, citric acid, and rosemary. This means all our fish, fish meal, chicken, chicken meal, lamb, lamb meal, duck, and duck meal are all naturally preserved. We do this even though we could claim our food is natural by just adding a natural preservative to the food and not worrying about how our proteins are preserved. We feel it’s necessary to go the extra mile and commit to never buying proteins that are preserved with things like Ethoxyquin, BHT, or BHA even though they are cheaper. No, the soy oil is 1 of the oils in Lotus that supplies both linoleic acid (an omega 6 fatty acid) and alpha linolenic acid(an omega 3 fatty acid). It is not a protein like soybean meal which is often used as an inexpensive source of protein in some foods. Allergies are primarily caused by proteins, not fatty acids or oils. In fact, Lotus does not use any concentrated plant based proteins like soybean meal, potato protein, pea protein or rice protein concentrate, for that very reason. I’ve heard that taurine is a necessary nutrient for cats. I’ve seen added taurine recently in some lamb and rice foods for dogs. why doesn’t lotus add taurine to their lamb and rice formula for dogs? Because dogs can produce taurine if they have all of the required amino acids. Lotus lamb supplies these amino acids with lamb meat, Pollock and lamb meal as protein sources and not just lamb meal. Lamb meal tends to be higher in ash (bone) and collagen than lamb meat and doesn’t have as much usable protein. 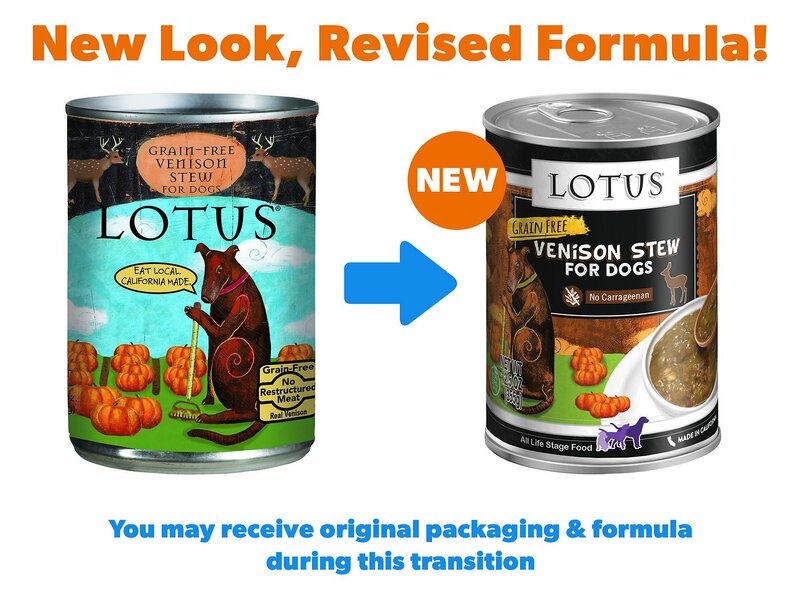 Also, Lotus does not use ingredients like rice bran which is often combined with lamb meal which is often the only protein source in other dog foods. When a dog is fed this type of diet, he/she may not get all of the required amino acids to produce taurine, so those dog foods add taurine. A deficiency in taurine can lead to heart issues. 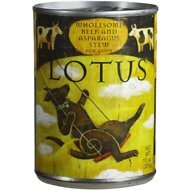 Who does the artwork on lotus’ packaging? My three dogs love this brand of food. Believe me they are so picky. First case of this and it is amazing. No deconstructed meat..limited ingredients and grain free. Rated by dog publication I receive as one of their top ten canned foods in 2017. My dog loves it! Great mixer with dry food... my dog loves it! My 7 year old cockapoo has allergy issues, & he is also a cancer survivor after surgery & chemotherapy. I only buy grain free food & avoid chicken as a main ingredient. I've purchased several kinds of wet foods over the years, & Springsteen likes Lotus Venison Stew more than any other kind. 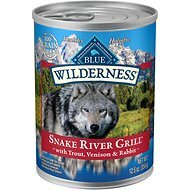 My 2 dogs love this food, and they digest it well! Quality food, great price, fast shipping. We use as a topper to dry food.